Why would you hire a 45-, 55-, or 65-year-old candidate when a 25- or 35-year-old job seeker is available? What areas of value do people with more years behind them bring to the workplace? How do you seek out and vet candidates in their more advanced career years who will enhance both the culture and the performance of your company? 1. Problem-solving. With 15, 20, 30, or more years' experience, an older worker has "been there, done that." They have encountered challenges negotiating with brutal deal-makers and know how to overcome objections. They've faced tough deadlines and figured out shortcuts to get to the finish line. They have handled project scope curveballs. They've also learned resilience in the face of massive challenges and can model this resilient behavior for younger generations to emulate. 2. Perspective. While it may seem daunting to address a one-, three-, or five-year strategic plan for someone newer to the workforce, more mature workers can offer perspective. They realize that the daily, weekly, and monthly processes leading to plan completion often are as important as the finish line itself. Their ability to communicate long-term gains amid short-term goals provides a leadership perspective that only accrued years can deliver. They have witnessed the malleability of plans and how to address the disruptiveness of always-evolving economies, marketplaces, and people. As such, they can offer assurances that the plan is still alive and well, amid the seeming chaos of the daily minutiae. 3. Knowledge. With decades of work and life experience under their belt, older candidates offer a deep well of knowledge and self-confidence. This bank of information can be valuable for a number of reasons, not the least of which is historical context. Whether it be a legal or regulatory issue, sales and marketing challenge, or an operations initiative, tapping into an older worker's past may propel an idea to new levels of success or quell a pressing problem to make way for progress. It also can be leveraged for innovation and exploration into untapped markets or other ventures, which a company may need to do to remain competitive and/or ahead of the marketplace curve. 4. Capacity to grow and learn. While older workers often get a bad rap for being stuck in their ways or slow in adopting new trends, and in some instances, this is true, in many cases, it's quite the opposite. Many older workers have proven and recent track records of working for companies from start-up launch to full-scale operation and profitability. By doing so, they've not only accrued knowledge that is applicable to future start-ups, but they also have proven endurance in repeatedly navigating the twists and turns of such enterprises. As well, some have accrued years of experience traversing the politics of large, global organizations, where silos often are abundant. Qualified older workers can use their experience to help less experienced, younger workers break through similar silos to bolster productivity and performance. Moreover, some older workers have been ensconced in small-business surroundings, where they wore multiple hats and proved agile in meeting constantly changing customer requirements and other operational initiatives. And finally, some older workers have accrued a blend of these experiences, with lengthy and meaningful storied achievements that reflect their persistent capacity to advance their skills and continuously learn. 5. Mentoring. Many older workers have an innate ability to coach and mentor their younger peers. It is human nature to want to pass along their career legacy to younger individuals who show an interest and inclination to succeed in the workplace. In particular, matching an older worker with someone who has a proven interest in a particular field of work that the older employee has mastered will be mutually satisfying and also beneficial to the company's succession planning initiatives. Some basic steps may help companies overcome challenges in appealing to older candidates' needs and wants. 1. Appeal to their competitiveness. Understand that high-quality older candidates in many cases earned their stripes because they were competitive by nature and/or nurture. Empower them with opportunities to tap into that competitive drive with roles that are tied directly to goals and rewards. 2. Appeal to their wisdom. Hire them with the intention of tapping into their knowledge and wisdom. Clarify, during the interview process, that their deep experience is valuable to your company's future growth and sustainability. Outlining the how and why of this intention will help sway the older worker that you are sincere. 3. Appeal to their place in life -- part 1. By this, I mean that many older workers are in a place in their lives where they no longer need to be the top person or draw the top salary. For many, their past experiences working in toxic environments and unsustainable hours reinforced for them the value of culture over money. 4. Appeal to their place in life -- part 2. At the same time, many of these workers are committed to many more years of hard work and focus in the right environment with the right leadership. They often are uninterested in job hopping and are eager to settle in to a role where they can grow roots and really help the organization to blossom. 5. Appeal to their flexibility. While it may seem obvious, many older workers' kids are grown and have left the nest, which often means they have more flexibility in scheduling, travel, etc. While this is a benefit to the employer, it also can be an area in which the employer can appeal to the candidate's needs. 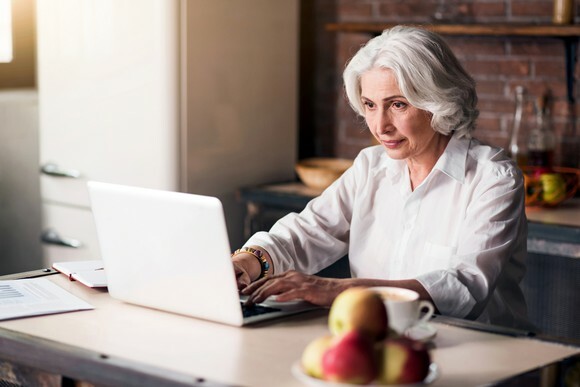 Do so by ensuring the older worker that you not only value their work schedule agility, but also value their time and will provide flex-time off for personal needs and wants. An awareness of motivators will be integral to recruiting top-tier older worker candidates. Conversations around a focused role, with meaningful expectations for a long-term mutually respectful partnership, are key to attracting them to your door.